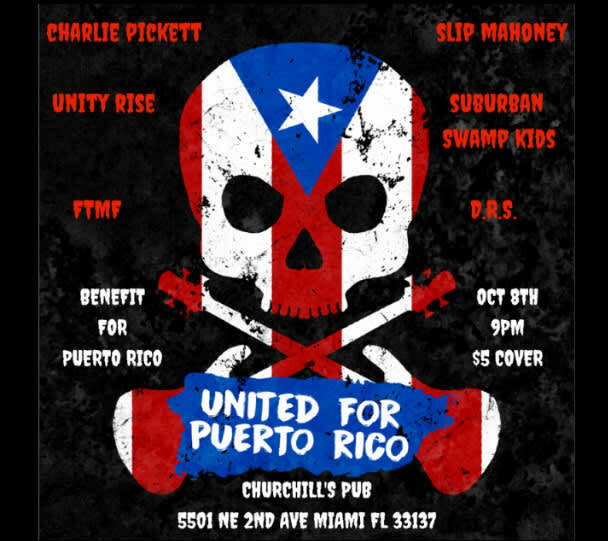 Join us at Churchill's on Sunday, Oct 8th at 9pm for our benefit for Puerto Rico. Great music for a great cause. All funds collected will go to unitedforpuertorico.com to help those in need.